What was football like in 1910? 100 years ago the Football League was well established and could get crowds for matches in the First Division of anything between 5,000 (at small clubs like Preston North End) up to 60,000 at the largest grounds. Old Trafford was in fact opened in 1910 to become the biggest league ground in the country. The grounds in those days were however little more than massive terracing areas with one or two tiny stands either side of the half way line. Safety was hardly a major consideration, and there were disasters – most famously at the ground of Rangers in Glasgow, which was designed and overseen by Archie Leitch. The League stretched to two national divisions, with promotion and relegation of the top two / bottom two clubs. However “national” is a bit of a misnomer, since the bias was heavily northern, reflecting the origins of the professional League. The south had held out against professional football until Woolwich Arsenal turned pro. Woolwich Arsenal therefore led the way into southern professionalism, and by 100 years ago there were five pro teams in the Football League in London (Woolwich, Tottenham, Chelsea, Clapton Orient, Fulham) with several others in the Southern League who were interested in joining the national league. But outside of London there was little. One team in Bristol, two in Nottingham, two in Birmingham… but nothing else in the south. Indeed it was often reported that the clubs in the north hated the trips to London – especially Woolwich Arsenal, dubbing the journey “the trip to Hell” because of the lack of easy transport facilities. Brought up on short train journeys in between the big industrial cities of the north, a visit to the capital was not welcomed at all. Clubs of the smaller variety were regularly going bust, and most of the relegation and promotion between the Football League and the Southern League (which generally acted as its major feeder league) were related as much to the financial failure of a club as anything else. There were no multiple ownership rules, and thus nothing to stop Henry Norris from owning not just Fulham and then (in 1910) Woolwich Arsenal, but also Croydon Common – a Southern League club. 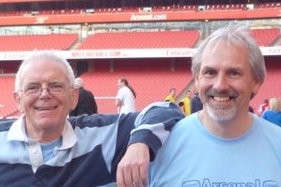 Supporting one’s team at away matches was very minor – it happened but only a little. It wasn’t so much that there was no transport (the railways at the time were excellently organised and the main form of transport to even the smallest village) but rather that the tribal affiliation to a club was less defined than now. If your team was away you might go and watch the reserves play at home, or you might go and another local club. (Curiously this was part of Woolwich’s problem – there was no other nearby rival club, and so they picked up few supporters who would come to see football when their team was away). Amateur football was also a major event – especially in the south – and could attract crowds to rival some professional and semi-pro clubs. In terms of salaries players wages were controlled by a maximum wage which all league clubs agreed not to exceed. There was no limit on transfer feeds however. Norris is reported to have been against the maximum wage, arguing that it kept everyone’s salary artificially high. He was however in favour of legislation to limit transfer fees. Making the Arsenal, the novelisation of events in 1910, is published by Arsenal Books in October 2009.